Swarms of drones will help farmers map weeds in their fields and improve crop yields. This is the promise of an ECHORD++ funded research project called ‘SAGA: Swarm Robotics for Agricultural Applications’. The project will deliver a swarm of drones programmed to monitor a field and, via on-board machine vision, precisely map the presence of weeds among crops. Additionally, the drones attract each another at weed-infested areas, allowing them to inspect only those areas accurately, similar to how swarms of bees forage the most profitable flower patches. In this way, the planning of weed control activities can be limited to high-priority areas, generating savings at the same time as increasing productivity. “The application of swarm robotics to precision agriculture represents a paradigm shift with a tremendous potential impact” says Dr. Vito Trianni, SAGA project coordinator and researcher at the Institute of Cognitive Sciences and Technologies of the Italian National Research Council (ISTC-CNR). “As the price of robotics hardware lowers, and the miniaturization and abilities of robots increase, we will soon be able to automate solutions at the individual plant level,” says Dr. Trianni. “This needs to be accompanied by the ability to work in large groups, so as to efficiently cover big fields and work in synergy. Swarm robotics offers solutions to such a problem.” Miniature machines avoid soil compaction and can act only where needed; robots can adopt mechanical, as opposed to chemical, solutions suitable for organic farming; and robot swarms can be exactly scaled to fit different farm sizes. 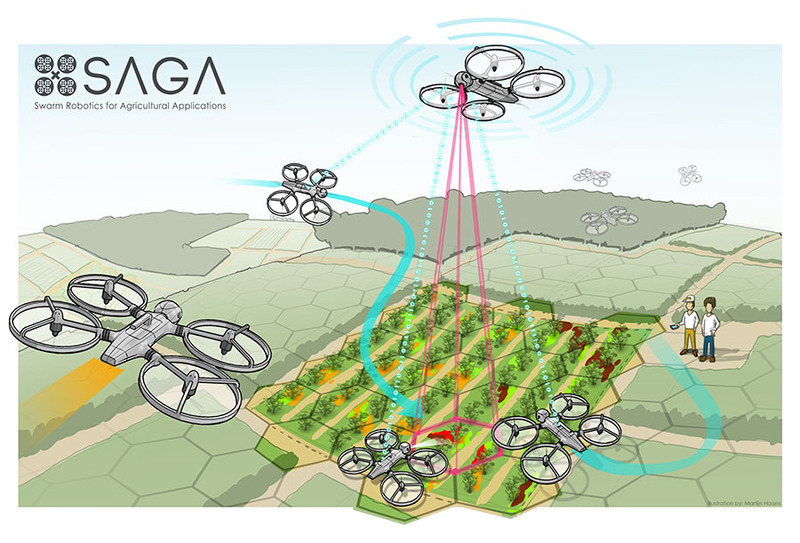 The Saga project proposes a recipe for precision farming consisting of novel hardware mixed with precise individual control and collective intelligence. 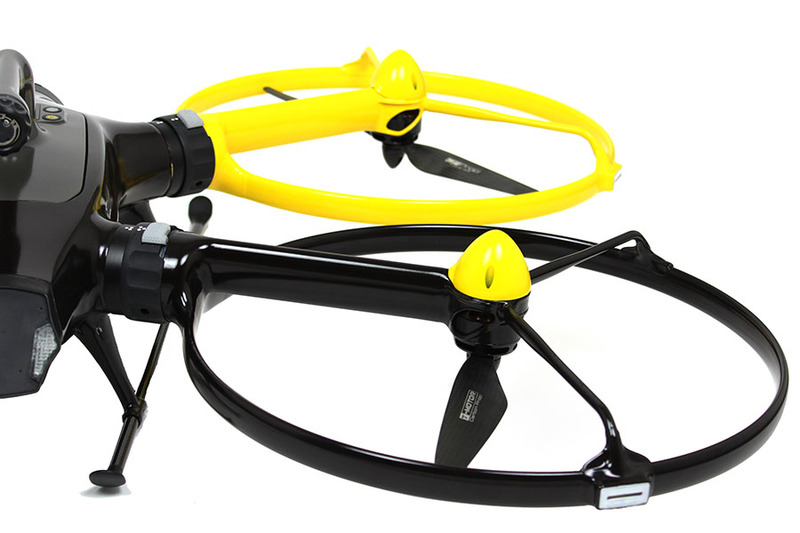 In this particular case, innovative hardware solutions are provided by Avular B.V., a Dutch firm specializing in industrial level drones for monitoring and inspection. Individual control and machine vision are deployed thanks to the expertise of the Farm Technology Group at Wageningen University & Research, The Netherlands. Swarm intelligence is designed at the already mentioned ISTC-CNR, leveraging their expertise to design and analyse collective behaviours in artificial systems. For the next year, these organisations will team up to produce and field-test the first prototype for weed control based on swarm robotics research. SAGA is funded by ECHORD++, a European project that wants to bring the excellence of robotics research “from lab to market”, through focused experiments in specific application domains, among which is precision agriculture. SAGA is a collaborative research project that involves: the Institute of Cognitive Sciences and Technologies (ISTC-CNR) of the Italian National Research Council (CNR), which provides expertise in swarm robotics applications and acts as the coordinator for SAGA’s activities; Wageningen University & Research (WUR), which provides expertise in the agricultural robotics and precision farming domains; and Avular B.V., a company specialised in drone solutions for industrial and agricultural applications.